ATLANTA – Are you satisfied with City of Atlanta services? Now you can give your input with the click of a mouse. Online feedback will be accepted until midnight April 30. The survey data will be compiled and a report will be generated for review and analysis as part of the Atlanta City Council’s 2013 City Budget Review Process. 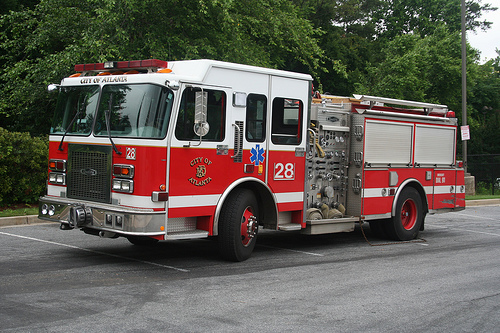 ATLANTA – Atlanta Fire Rescue Department will visit Clay Street (NE & SE) in the Kirkwood Community, which has over 80 homes, to check and replace smoke and carbon monoxide detectors. Residents are encouraged to call the Atlanta Smoke Alarm Recall Hotline if they suspect they may have a smoke alarm affected by the recall. Any resident in need of a smoke alarm may also call 404.546.2733 or send an email tosmokealarm@atlantaga.gov to schedule an inspection and replacement at no cost. To date over 370 residents have contacted the Smoke Alarm Recall Hotline since established, and 1,829 smoke alarms have been distributed. WHAT: City of Atlanta Firefighters continue the mission of the ASAP by providing residents of Atlanta with a working smoke detector. Download the permission form here! The essay contest encourages the future leaders of the community to reflect on the role of key elected officials and municipal activities. Winners will represent the City of Atlanta, Atlanta Public Schools and their communities at trainings and conferences including the 2012 National Service Learning Conference in Minneapolis, Minnesota. 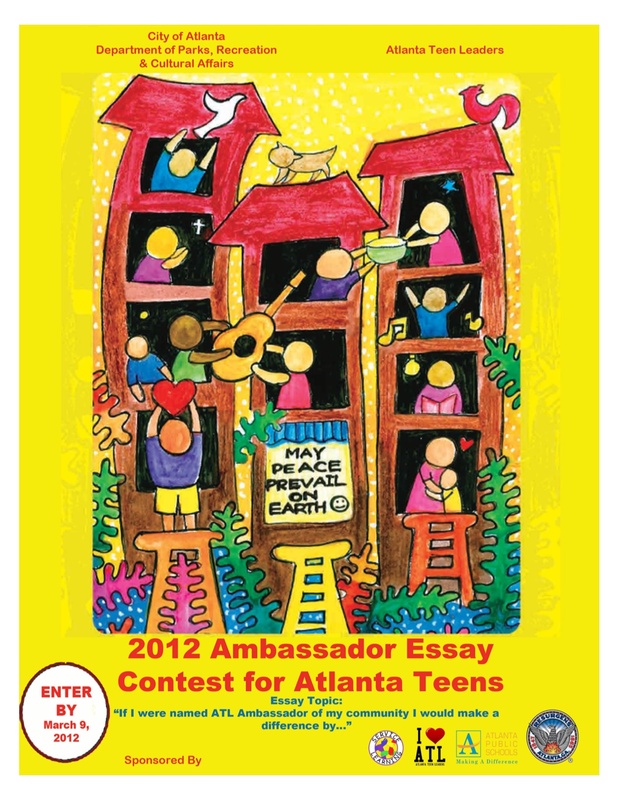 Email hlwillis@atlantaga.gov to request an electronic copy of the application and contest details. 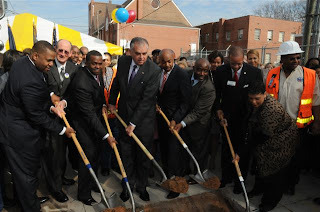 On February 1, 2012 I had the opportunity to participate in the construction launch with Atlanta Mayor Kasim Reed, Transportation Secretary Ray LaHood and several of my colleagues on the Atlanta City Council. 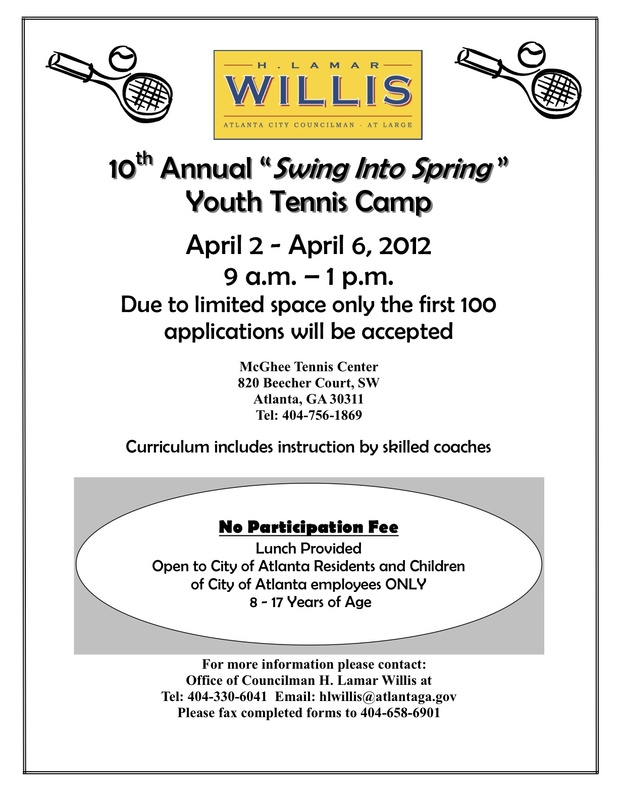 This exciting initiative will be a great asset to the citizens of Atlanta. Please see the information below to bring you up to speed on the facts about this program. Work to implement a modern streetcar transit system continues through the collaborative public private partnership between the City of Atlanta (COA), the Atlanta Downtown Improvement District (ADID), and the Metropolitan Atlanta Rapid Transit Authority (MARTA). The purpose of the Atlanta Streetcar project is to provide an integrated multi-modal, high-quality transit network that links communities, improves mobility by enhancing transit access and options, supports projected growth, promotes economic development and encourages strategies to develop livable communities. On October 15, 2010 the City of Atlanta received notice of a pending federal funding award of approximately $47.6 million to fund the East-West route of the Atlanta Streetcar. The total cost of the project is $69.2 million with capital match contributions from the City of Atlanta $15.6 million and ADID $6 million as part of a total contribution from ADID of $20 million over 20 years. The Atlanta Streetcar will provide missing circulation and direct connectivity to the existing transit services coming into Midtown and Downtown, as well as future commuter rail, regional light rail, including the Atlanta BeltLine, and intercity and high-speed passenger rail services. It will provide enhanced mobility to transit-dependent populations. Design work continues. Compared with other transportation projects, implementation can move forward quickly as soon as funding is awarded, resulting in immediate job creation and economic benefits. In Portland the streetcar catalyzed 140 real estate projects worth $3.5 billion; following its construction, property values increased by approximately 50 percent. In Seattle a $51 million streetcar project (capital cost) led to 3.3 million SF of development. Attractive, convenient service will increase transit ridership, foot traffic and customers for businesses near Centennial Olympic Park, Georgia State University, the Civic Center, the Arts Center, Edgewood and Auburn Avenue, and the Peachtree corridor. Winter Wonderland Soiree Photos are here! My staff and I had a wonderful time hosting the Post 3 Annual Holiday Party. Each year I select a group that has gone above and beyond to make Atlanta a great place to live. In the past I have recognized public safety employees, senior citizens, and City Council staffers. This year the holiday celebration focused on Atlanta Public Schools students and their parents, for overcoming the obstacles of 2011. Enjoy the few photos that are posted on the page. The full album can be viewed on my Facebook page. 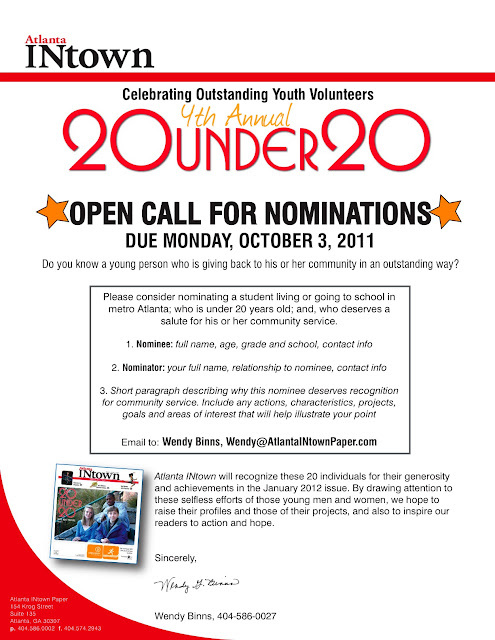 The deadline to submit a nomination for Atlanta Intown's "20 Under 20" has been extended to November 15, 2011! If you know a young person that has demonstrated a commitment to excellence please follow the nomination procedures. The community development and human resources committee of Atlanta's City Council has scheduled a public hearing to consider amendments to the city's housing code. The changes would require the registration of certain vacant property and the payment of annual registration or renewal fees. The public hearing will be held at 12:30 on Tuesday, Nov. 15 in committee room 2. City Hall is located at 55 Trinity Avenue SW.
Atlanta City Councilman H. Lamar Willis invites you and your family to join him for the 3rd Annual Southwest Atlanta Fall Festival on Saturday, October 22, 2011 from 12 until 4 p.m. The festival will be held at the Zion Hill Baptist church lot, located at 815 Lynhurst Drive (across from Jean Childs Young Middle School). “Each year, I strive to make this event special for each child that participates. I want the children of Atlanta to know that the City encourages and supports them” said Councilman Willis. For more information about the 3rd Annual Southwest Atlanta Fall Festival contact 404-330-6041. ATLANTA – The Atlanta City Council will hold two public hearings to afford citizens an opportunity to have their voices heard in the City of Atlanta 2011 Council Redistricting process. Every 10 years, based on U.S. Census results, the City of Atlanta and cities across America re-draw representative district boundary lines to preserve the constitutional right of one person/ one vote of its citizens. Based on the 2010 Census results the Atlanta City Council is seeking to maintain a balance of populations by creating 12 Council districts of 35,000 persons each (+ - 5%). To achieve this goal, the Atlanta City Council will create and review a variety of maps and will ultimately select a single map which will ensure that Atlanta’s citizens have fair and balanced representation. This map will be presented as a part of City Charter amending legislation that will outline the new district boundaries. Friday, October 14, 2011 -- Proposed plan(s)/map(s) placed on display for public review via redistricting websitehttp://citycouncil.atlantaga.gov/REDISTRICTING.htm and in the City Council Lobby, Suite 2900, Atlanta City Hall, 55 Trinity Avenue, S.W. Thursday, October 20, 2011 -- 1st Redistricting Public Hearing - 6:00 P.M.; Council Chamber, Atlanta City Hall, 55 Trinity Avenue, S.W. Friday, November 4, 2011 – Current revision of plan(s)/map(s) placed on display for public review via redistricting website http://citycouncil.atlantaga.gov/REDISTRICTING.htm and in the City Council Lobby, Suite 2900, Atlanta City Hall, 55 Trinity Avenue, S.W. Thursday November 17, 2011 -- 2nd Redistricting Public Hearing – 6:00 P.M.; Council Chamber, Atlanta City Hall, 55 Trinity Avenue, S.W. Monday, December 5, 2011 -- Charter Amending Boundary Line Change Ordinance moves forward from the Committee on Council to the Full Council for adoption. Do You Want AFRD to win a Liberty Mutual $10,000 Pledge Award? The Liberty Mutual Fire Safety Pledge program is your chance to give back to the brave men and women of the Atlanta Fire Rescue Department who tirelessly work to protect your community. Each fall, ten $10,000 awards are given to fire departments where community members demonstrate their commitment to fire safety. Remember-the Fire Safety Pledge Quiz is only open through October 31st, so please take the quiz today to give AFRD some points!! Spread the word and forward this link to your family and friends!!! Atlanta City Council member H. Lamar Willis has teamed up with the Department of Parks, Recreation and Cultural Affairs for Movies in the Park on Saturday at West Manor Park, 3240 W. Manor Circle. The community is invited to bring folding chairs, blankets and snacks to watch "Thor." The movie starts at 8:00 p.m. All park rules apply. "Movies in the Park is a great way for families to come together and share a fun, free event that takes advantage of the great weather that we get in Atlanta early in the fall," Willis said. ATLANTA – Atlanta City Councilman H. Lamar Willis has been selected to participate in the American Jewish Council’s Project Interchange (PI). The program brings leaders from multiple ethnicities, including elected officials, senior policy makers, university presidents, print and broadcast journalists, clergy, energy and water experts, senior medical officials, Rhodes scholars, student body presidents and campus editors together. During the trip, scheduled for September 18-26, PI seminars will incorporate the topics of immigrations and integration into Israeli society, human and civil rights, and the art of bridging cultures within a politically and ethnically diverse society. Participants will meet with both Jewish and Arab Israelis, as well as Palestinians for the presentation of differing viewpoints on informative and controversial issues. “It is an honor to participate in the PI trip to Israel. I expect to share my perspective on policy making and what has worked well for the City of Atlanta at the seminars and meetings with various Israeli officials,” stated Willis. Councilman Willis plans to keep citizens up to date on the activities of his visit using social media. For information and photos of the trip’s activities visit hlwillis.blogspot.com or follow HLWillisPost3 on Twitter. The AJC's mission is to safeguard the welfare and security of Jewish people worldwide by defending and promoting pluralism as the best defense against anti-Semitism and other forms of ignorance bigotry and hatred. Project Interchange, an educational institute of the AJC, brings opinion leaders and policy makers to Israel for a week of intensive travel and learning. Participants experience Israeli society, connect with their Israeli counterparts and learn about Israel’s extensive contributions in their fields. Founded in 1982, Project Interchange maintains an alumni network of over 5,000 influential voices spanning more than 60 countries.